We were founded in 1902 – find out what’s happened in the past 116 years. When the UK’s Imperial Tobacco Company and the American Tobacco Company of the United States form a joint venture, the British American Tobacco Company. James ‘Buck’ Duke becomes the company’s first chairman. His strategy is to devise a superior product, hire the best people to make it, price it as low as possible, and mechanise production. A period of rapid expansion sees us develop markets in the West Indies, India, Ceylon, Egypt, Holland, Belgium, Sweden, Norway, Finland, Indonesia, East Africa and Malaya. The acquisition of a majority share in Cairo-based cigarette manufacturer, Maspero Freres Company, allows us to expand our export trade of cigarettes made from Turkish tobacco into India and Europe. Our cigarettes sales now exceed 10 billion per year. The American Tobacco Company divests its shares in the joint venture and we are listed on the London Stock Exchange for the first time. Cigarrera Bigott Sucs is formed in Venezuela and, in the following few years, acquisitions are made in Chile, Mexico and Central America. Our 25th anniversary. We have become one of the UK’s leading companies, with 120 subsidiaries. We have factories in most countries and develop independent distribution networks, which become fully-fledged subsidiaries. Leaf-growing and manufacturing operations are established in India, China, Brazil and Nigeria and Haus Bergmann is acquired in Germany. The outbreak of the Second World War severely disrupts our global operations. Profits that were static at £5.5 million right through the depression go down to £3 million until the war ends. A return to growth sees us rank third among British, French and German companies, measured by company profits. Global sales exceed 280 billion cigarettes with trading profits of more than £58 million. We begin to diversify with moves into the paper, cosmetics and food industries. We acquire cigar manufacturer Henri Wintermans and company profits exceed £100 million for the first time. We move into retailing with acquisitions, including Argos in the UK and Saks Fifth Avenue in the USA. BAT Industries is formed. Within two years it is the UK’s third biggest company. Annual sales increase to 500 billion cigarettes. Trading profits from the tobacco operations triple over the previous decade to more than £463 million. BAT Industries acquires Eagle Star, Allied Dunbar and Farmers Group to become the largest UK-based insurance group. Hungary’s Pecsi Dohanygyar is acquired. Acquisitions and joint ventures follow rapidly in Ukraine, Uzbekistan, the Czech Republic, Russia, Romania and Poland. The prestigious Lucky Strike and Pall Mall brands are now added to our portfolio, with the acquisition of the American Tobacco Company. BAT Industries divests its financial services businesses. British American Tobacco becomes a separately quoted company on the London Stock Exchange. Following a global merger with Rothmans International we gain several major brands, including Dunhill. New investments in countries such as Turkey, Egypt, Vietnam and South Korea. Brown & Williamson and RJ Reynolds Tobacco Company combine and Reynolds American is formed – a stronger, more sustainable business in which we have a 42% share. We acquire the assets of Tekel, the Turkish state tobacco company. Major acquisition of Protabaco in Colombia for US$452 million. The Group establishes Nicoventures Limited, a company to focus exclusively on the development and commercialisation of innovative, regulatory approved nicotine products. UK-based company CN Creative, who specialise in the development of electronic cigarette (e-cigarette) technologies, are acquired. CTBAT International Limited, a joint investment of subsidiaries of China National Tobacco Corporation and British American Tobacco commences trading. The Group launches its first e-cigarette product, Vype, in the UK. The Group announces it will invest US$4.7 billion as part of Reynolds American Inc.'s acquisition of Lorillard. The deal means we will maintain our 42% stake in the enlarged and substantially stronger Reynolds American business in the US. We complete a number of investments and strategic partnerships focused on future growth. The Group acquires TDR in Croatia, the leading independent cigarette manufacturer in Central Europe. We also acquire the remaining shares in our Brazilian subsidiary, Souza Cruz, that we don’t already own. Highlighting our commitment to lead in Next Generation Products, we acquire CHIC Group, a market-leading Vapour Product (e-cigarette) business in Poland. We continue to develop Vype with new products and expansion into new markets, and we launch our first Tobacco Heating Product, glo iFuse, in Romania. BAT makes proposal to acquire remaining 57.8% of Reynolds American Inc. it doesn’t already own. Our commitment to Next Generation Products continues with the acquisition of Ten Motives, a UK e-cigarette company. Vype Vapour Products become available in new markets and our first Vype-branded flagship store opens in Milan. BAT launches glo, a new-to-world Tobacco Heating Product, in Sendai, Japan. 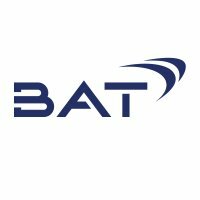 January – BAT announces agreement to acquire Reynolds American Inc.
July – BAT completes acquisition of Reynolds American Inc. BAT is one of just 13 companies to be recognised as a Global Top Employer 2018 by the Top Employers Institute. The Group’s 2018 annual and sustainability reports underline BAT’s commitment to ‘transforming tobacco’ by offering an unrivalled suite of potentially reduced-risk products to adult consumers. After nearly 37 years with BAT, and eight as CEO Nicandro Durante informs the Board of his intention to retire in 2019. Chief Operating Officer Jack Bowles, who joined BAT’s Management Board in 2009, is announced as his successor.